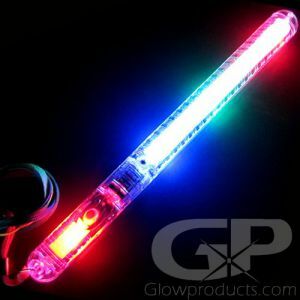 - 7" Multi-Color LED Light Wand! - 6 Awesome Color & Light Settings! - Lanyard Included! Batteries Already Installed! - Glow Parties! Poi Dancing! Concerts & Festivals! 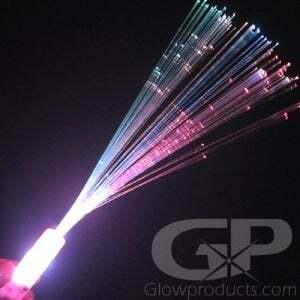 You should be dancing - with 7 inch Light Up LED Poi Sticks that is! 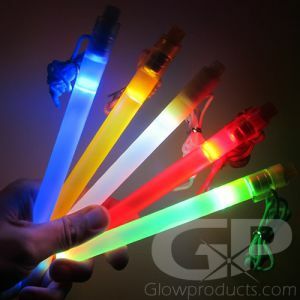 Whether you are a professional poi dancer, attending the latest rock concert or looking for a bright, durable light stick for your party or event, the 7 Inch Color Changing Poi Stick has all the glow you need! 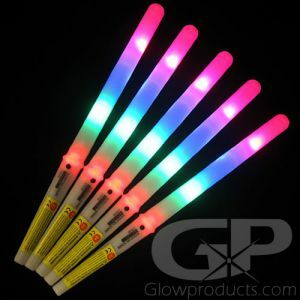 The 7 Inch Color Changing Poi Sticks are a great re-usable battery operated light stick which is a fantastic battery alternative to regular glow sticks. 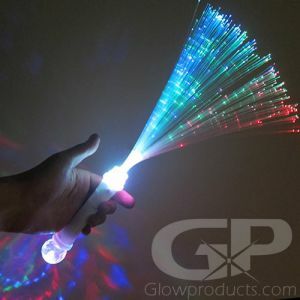 The 7 Inch Lighted Poi Sticks have 6 separate light modes that include a Red, Green and Blue flashing setting where all three colors strobe on and off - so when you spin the Poi Stick through the air you can see all three colors! Also a rainbow transition slow color changing mode, a purple mode with all 3 LED lights on at the same time and a red flashing, a blue flashing and a green flashing color mode. 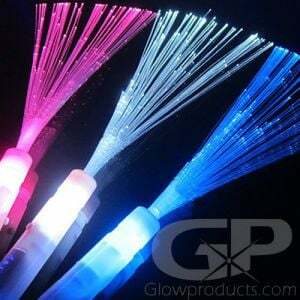 Unlike a traditional glow stick you can turn the LED Poi Sticks on and off whenever you want. 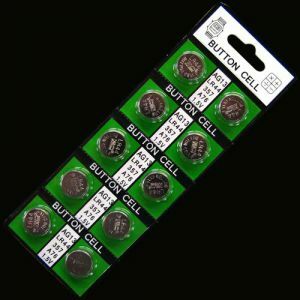 And replace the batteries so you can use it again and again. 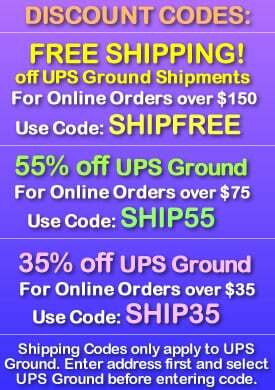 So get out there and spin and twirl the night away with your Light Up Poi Sticks! Instructions: Remove the protective battery tab. 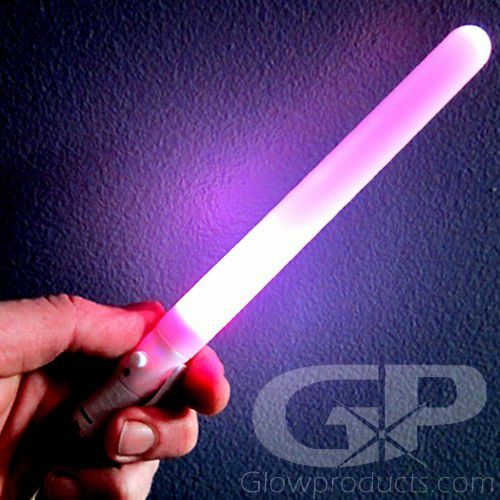 Press the button on the handle to turn the Light Up Poi Light Stick on and to circulate through the 6 color and light modes. Lanyard and 3 pieces of AG13 Batteries are included and replaceable.